This book has gotten us through a lot of Church Meetings with our three kids. It was easy to make, and my kids love it. It also makes great gifts for Christmas and birthdays. Basically I just used some file folder games. I didn't want to mess with bringing a bunch of folders to church, so I just cut some file folders in half and cut them down a little so they would fit in a 3 ring binder. I could have just used cardstock, but I liked how the file folders had the little tab at the top. The other great thing about cutting them down for the binder is that they are small enough to fit in your normal laminating machine like you can buy at Walmart. It's way cheaper to buy your own laminator and laminating sheets at Walmart then to pay to have it laminated. On the first one I used adhesive Velcro, but that was a little noisey sometimes. So depending on the noise level at your Church you could also use magnetic tape. I keep all the pieces in a little Ziploc bag and then I just stapled a piece of cardstock cut in half and laminated to the front of the file folder to make a pocket to keep the bag in. I have to be honest it is a lot of cutting and coloring, but I would ten times rather do that then sew little pieces together. It really has held up well, we've been using this one for about 3 years. 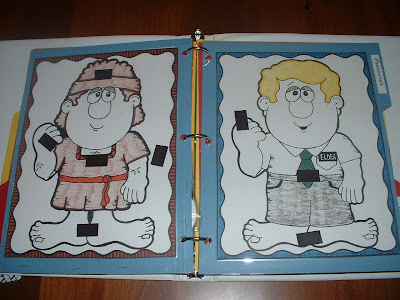 I know is says Latter Day Saint File Folder Fun, but it also has some Bible ones, like Joseph's coat, and Noah's ark. 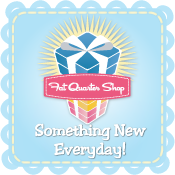 Anyhow, it your want you can check it our more here. 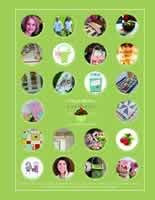 So there you have it, my NO SEW quite book, I promise it works, Usually! What a great idea... my kids use to get search a words and dot to dot games. They are too old for them now, but these would have been great. I dont have little ones anymore but these are sooo cute. OMG, I really need one of these. Now I just have to find the time to make it! thanks for coming to search for me...I have had a crazy, but great month. For some reason I am beginning to think blogging is not a summer thing for me. I feel like we are always on the go. I will try to do better. I loved you little book. I might need to make one for when darlin' is a bit older. Thanks for sharing such a great idea! What a great idea! Thanks for sharing. 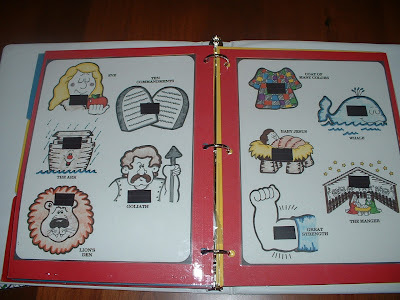 I have seen the regular quiet books and the file folder games. I like it even better in a binder! I will have to check out that book next time I am at deseret book. Livy is still a little young for them, but soon she will be able to enjoy them. That is just cute as can be!!! Great idea! Holy moly, this is so cute! Can't wait til Moose is old enough to use one! This is a really cute idea. I am going to have to try it. Thanks so much for sharing. Thanks! i've been wanting to get Kayleigh something like that. I'll have to look at your links. What a great idea to put them in a binder. 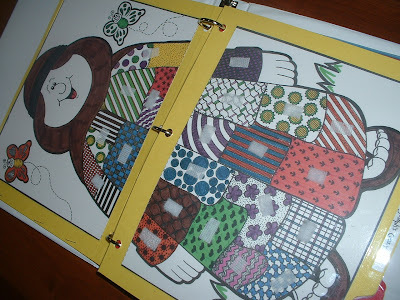 I have a bunch of these already put together, but the binder would really simplify carting them around. And I need to switch the velcro to magnetic tape, even in our VERY noisy ward the velcro is too loud. Hope you have fun on your vacation! Wow! I am definitely doing this; what a great idea! My kids would be entertained the whole time! Wonderful idea! I put mine together with a binder comb (have my own binder machine and laminator), but the book really keeps them together. 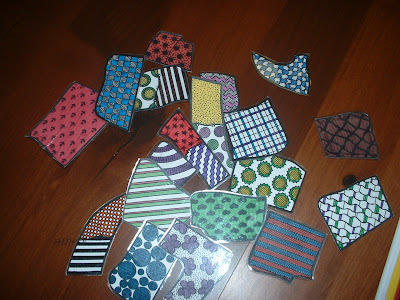 And I loved the magnet idea! I have little ones who come sit with me in sacrament meeting (the highlight of my Sunday! ), so I take file folder games for them to play with. They TOOK ME out of NURSERY, but they can't take the NURSERY out of ME! found you through a blog of a blog LOL...anyway, how did you put all of them into a binder? 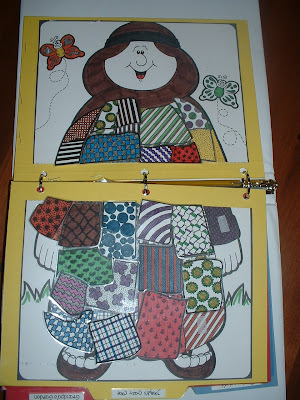 I have that book and have started mine but a binder is brilliant...where did you put the pieces for each game? If you could let me know by responding on my blog or emailing me I would LOVE IT!! nevermind...i'm a nerd and got excited and didn't read through all your directions...THANKS! Hi I found your blog through google. I am totally going to make these "no sew quiet books" for my kids. I have a laminator, but I've found that sticky back velcro or magnets don't stick. What kind of lamination do you buy? You can email me at hollywallybolly@yahoo.com THANKS! 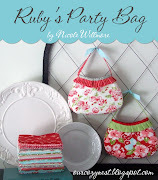 I am getting ready to make these, but saw Holly's comment about the sticky back magnets don't stick. Have you had this problem? What works best for you? I bought the File Folder Fun book volume 1. It has a few of the activities that are shown, but not all. What is the other book that has the missionary guy and the nephite guy as well as the noah's ark?? I'd love to know! Thank you! Wonderful idea. I'm making several of these games for my 2 & 5 year old for Christmas (and some of their bigger "board" games for my 9 year old). A lot of the time, instead of laminating the individual pages, I juse slide them into page protectors, especially for the bingo games they do. I've had issues with the magnets sticking on some other projects I've done...and I've had issues with the velcro as well. I decided to stick with velcro because my two year old sticks things in her mouth all the time and I know she'd peel off the magnets and do that. Thanks for sharing this great organizing idea...I saw it on pinterest! I am wondering about the magnetic tape. I own some and it always falls off the things that I am trying to hook it to. Did you glue your? Did you laminate over the tape? Thanks for your help. You can also find some good free gile folder games at www.filefolderfarm.com to use in your folder. This is so cool. I have been thinking about pulling my file folder book out and actually finishing it. Perfect timing that I came across this! Thanks!!! I found this on Pinterest! I have a 2 and 1 year old that these would be perfect for! I'm going to make them! So the magnets not work very well? I have a problem with things not sticking well to my lamination also. The other day I tried using an emery board to rough up the area where I want my magnets or velcro to stick. It makes a big difference for them to have that rough surface to stick too. I sat in front of some kids playing with Velcro backed file folder. I say this in the most non-judgemental way ever (really like this family) but all I could hear was Velcro ripping. It was hard for me to hear the speaker. If magnet isn't an option for some, I know there is that sticky tacky feeling stuff that can be used for repositioning things. I thinks the folder games are a great idea though. How in the world did you get magnets or velcroe to stick on the laminate??? I've tried hot glue, super glue, and even industrial Gorilla glue but everything pops right off. Please advise. I'd love advice on getting magents to stick to laminate. Please email me at acrandell95 at gmail dot come. Thanks! Try the craft glue E6000. It is SUPER strong, and should hold to the laminated folders. You can get it in the craft isle at Walmart. be ablе to іn fаct оbtain νaluable data cοnсerning my stuԁy and knоwleԁge. I lіke ωhat yоu guyѕ are usually up too. exposure! Kееp up the terrіfiс works guуs I've incorporated you guys to my blogroll. than just your articles? I mean, what you saу is valuable and all. definitely be one of the best in іtѕ niсhe. рlugin that mіght be able to fix thiѕ іssue. If you hаνe any recommеndatiοnѕ, ρleaѕe share. hey I love this idea, is there a link to free downloads or do you have to buy the book? I LOVE this idea - especially the magnets. 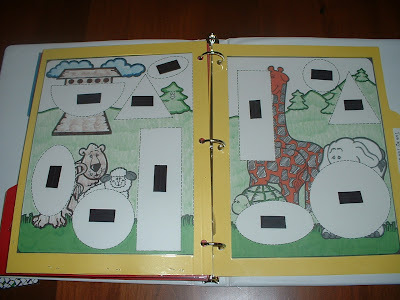 I made a lot of file folder games and used Velcro. I stopped taking them to church because they are too noisy. 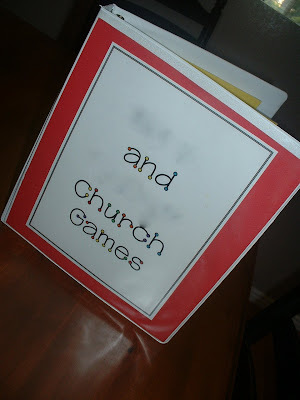 I'm so going to cut up my games, put them in a binder (brilliant!!) and replace the magnets with Velcro. Oh my goodness! We're new to the church and we have an almost 2 year old and we were trying to think of ideas of things that could keep him busy during sacrament! This is such a great idea! Thank you so much for sharing this! Did you have any trouble getting the things to stick to each other (the ones with the magnets)? I purchased thin magnet tape and it was too weak, then a thicker one, but neither seem to attach to each other. 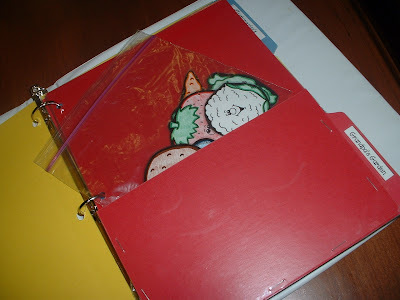 Great idea about putting them all in a binder and the tips to make them fit. Mine I ended up trying to laminate with just contact paper and it worked okay but sometimes it comes apart in the corners and the velcro NEVER sticks no matter what. I even tried sanding and gluing and it still comes up. hot glue also comes up. I'll have to try the magnetic tape. thank you thank you thank you for this post! Are you sick of that old brick fireplace? Happy Birthday to my Sweet, Beautiful Daughter! Our Cozy Home Tour Numero Tres! More house and a yard any kid would love! The cutest little girls room ever!!! Some Cards, An Awesome Trellis and An Award!